Although the calendar says spring starts today, in the meteorological community spring started March 1st. We consider December, January, and February as the winter months. The biggest headlines from winter 2013/2014 will certainly be the cold outbreaks that hit the eastern US, and the west coast drought -- namely California. 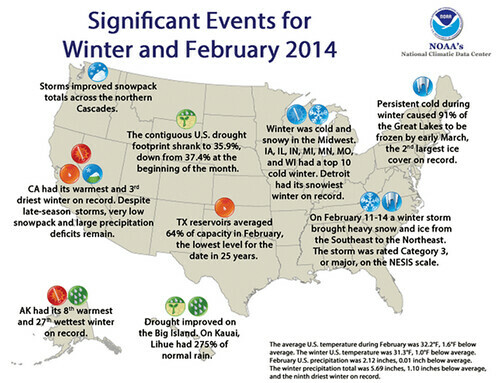 The lower 48 just finished its 34th coldest winter and 9th driest since 1895. Here are the biggest headlines from our winter. To break it down more specifically in terms of moisture, here are the precipitation anomalies for the United States. Clearly, the west coast received far below average moisture, as well as the southern plains. 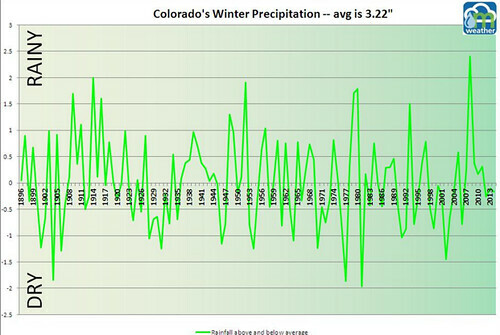 Colorado, however, remained close to normal in most zones. Colorado averaged a mere 0.17" below average precipitation, it's 53rd driest winter, thanks in big part to a healthy snowy season for the mountains. The United States temperature anomalies were most extreme for the Great Lakes region, but nearly two thirds of the country was colder than normal for the winter. Colorado, again, closer to average compared to our neighbors. 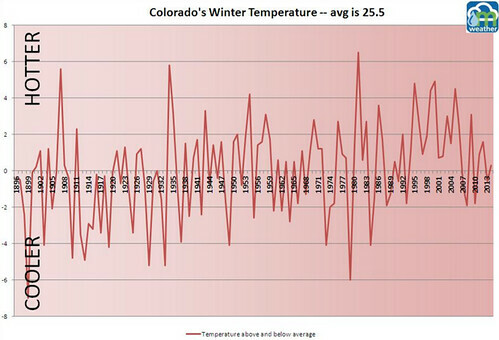 Colorado just had it's 60th coldest winter, staying 0.3 degrees above the average. In the short term the pattern going forward remains mostly unchanged. The east will enjoy a few days of warmer weather to start spring, but are bracing for another shot of arctic air and possibly some snow for some for the last week of March. For Denver we're tracking several disturbances for the last part of March. The first arrives this weekend and knock our temps back below normal once more with a chance for rain and snow across eastern Colorado. Less clarity on those further down the pipeline, but for now no real confidence in any big storms headed our way. We'll have more on this weekend's weather in a later post.